This 18k. 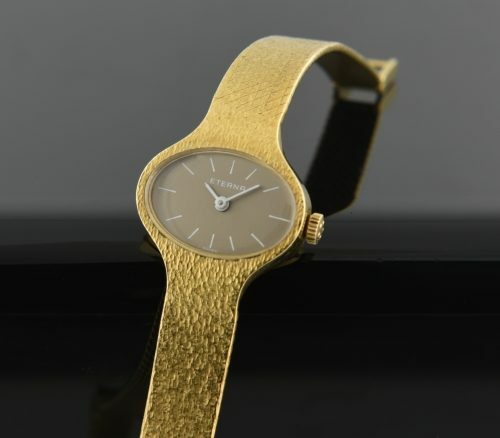 solid gold ETERNA bracelet watch from the 1970’s is ALL GOLD including the bracelet. The 18k. watch will fit up to a 6.5 inch wrist. The manual winding movement by ETERNA was just cleaned-accurate. 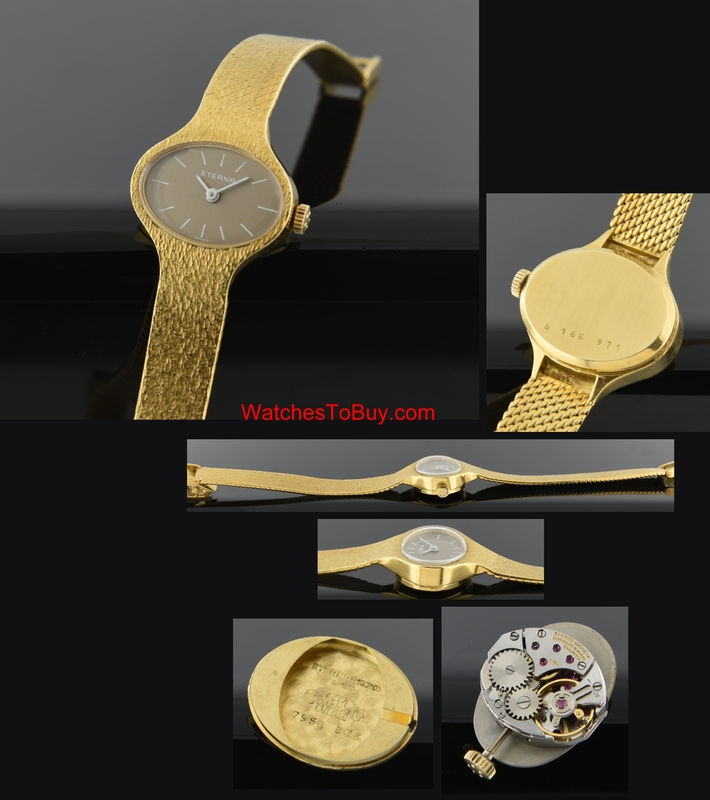 This is a great looking vintage watch on the wrist -and contains a lot of gold. $1950.